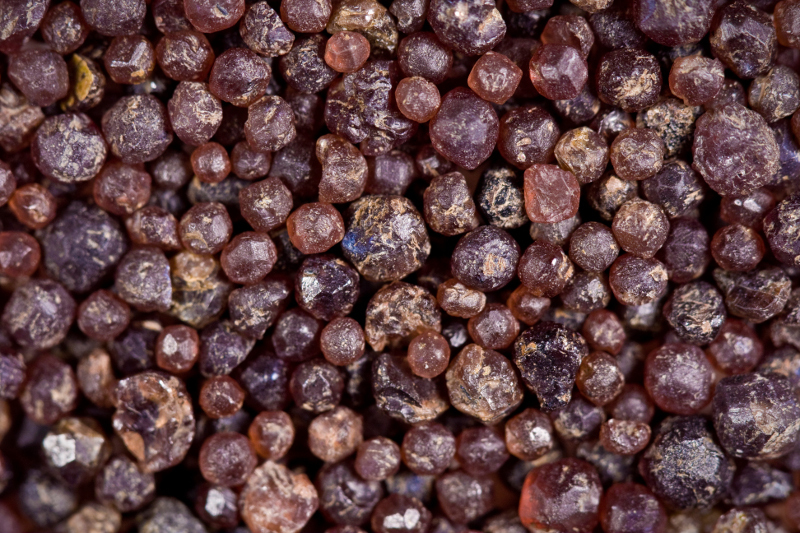 Humans have been using garnet in jewelry and decoration since at least 3000 B.C. ; the Egyptians buried their dead with garnet amulets and talismans, and garnet was widely popular in Rome in the 3rd and 4th centuries. We know that the Anglo-Saxons used garnets extensively; the Sutton-Hoo and Staffordshire hoards from the 6th and 7th centuries are filled with garnet warriors' decorations. As long and rich as the history of garnet is, so are the mythology, lore, and stories surrounding it. There's a natural association between garnet and the Greek goddess of both Spring and the Underworld, Persephone. Clusters of garnets look very much like the pomegranate seeds Persephone ate, dooming her to spend half of every year in the Land of the Dead. Tradition holds that Noah lit the ark with a large garnet, and that garnet is one of the twelve gemstones on Aaron's breatplate in Exodus. 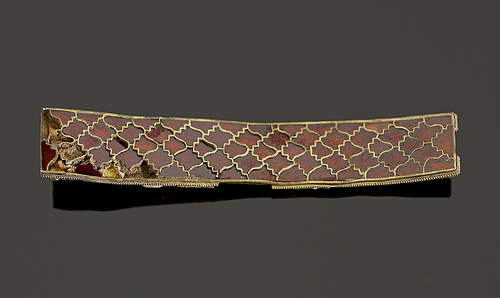 In ancient Asia, garnets were sometimes used as stones in sling weapons, as the deep red color was thought to give them a special attraction to blood and would cause more grievous wounds. Medieval warriors in Europe wore garnet for protection from wounds and to help ensure victory, and some believed garnet could protect a user from being poisoned. It was even used by King Louis XIV as a remedy for impotence. Today, crystal enthusiast believe that garnet can help its user create success and confidence. It's also believed to be a stone of protection of both body and spirit. All the history and lore aside, garnet is one of my favorite stones to work with. It lends an air of richness and dignity to nearly any piece; but most of all, it's a treasure trove to the kid I was once, sorting through pebbles to find those tiny red stones.